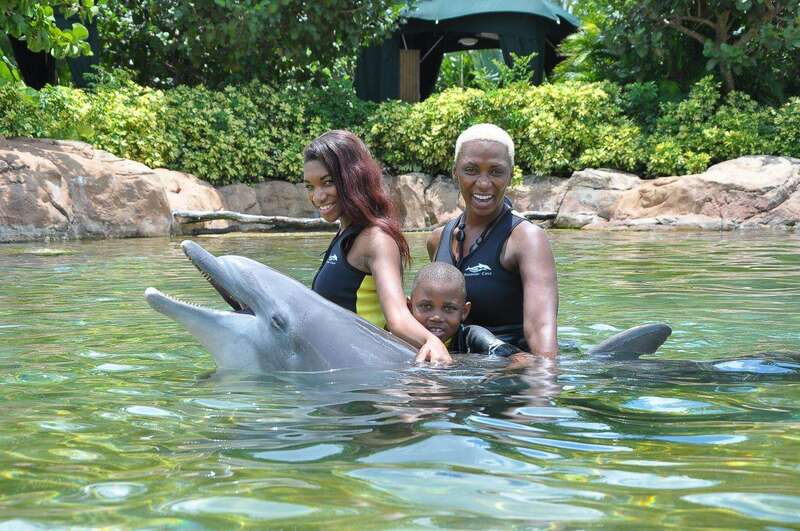 This past week while on tour here in Orlando, Sisaundra Lewis and her daughter, Rasheedah (15), and son, Rohan (7), swam with Atlantic bottlenose dolphins at Discovery Cove in Orlando. Lewis was a top 8 contestant on NBC’s hit show The Voice. 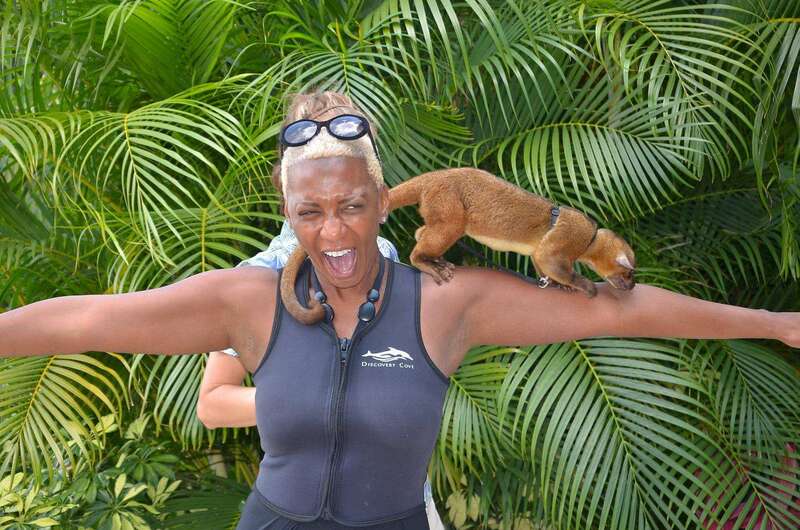 Lawis and her family enjoyed up-close encounters with giant rays, sharks and tropical fish in a grand reef and hand-fed exotic birds in a free-flight aviary.The star and her family also had a playful interaction with a kinkajou and screech owl. 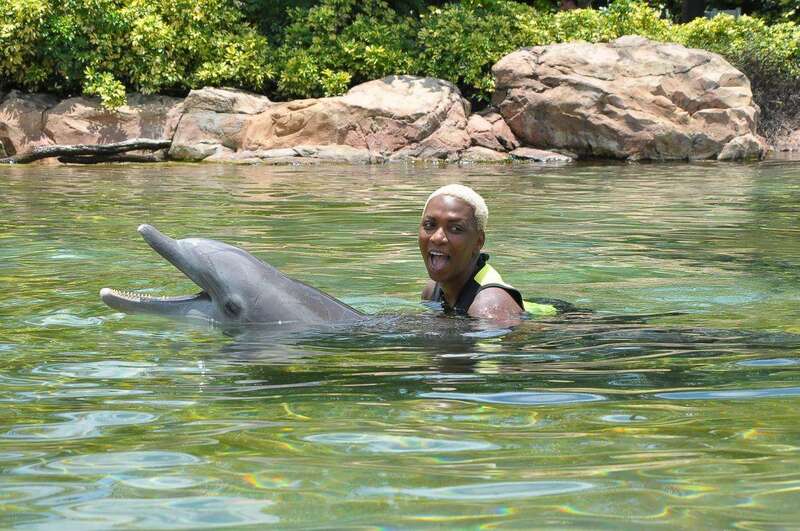 Located in the heart of Orlando, Discovery Cove is a tropical oasis adventure. 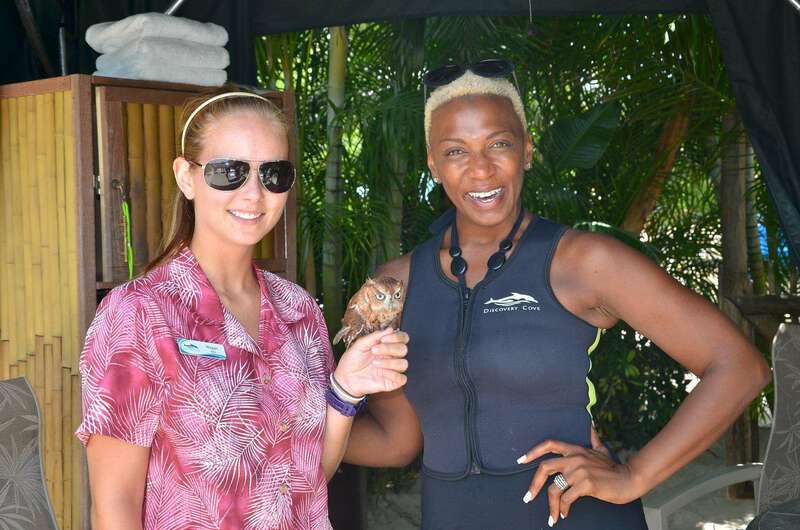 The all-inclusive day resort was awarded the 2014 Certificate of Excellence by TripAdvisor for its outstanding guest experience. For more information, visit discoverycove.com. Previous Post Get a sneak peek at Marvel’s Guardians Of The Galaxy on 7/7!